HUNTERSVILLE, N.C. — Xtreme Concepts Inc., a worldwide leader in turnkey security solutions, has expanded its partnership with Joe Gibbs Racing (JGR) to sponsor Jeffrey Earnhardt, Kyle Busch and Brandon Jones across 24 NASCAR Xfinity Series races in 2019. iK9, a comprehensive canine solutions provider for detection and service dogs administered by Xtreme Concepts, will be the lead brand for each driver. Last November, Xtreme Concepts announced a nine-race sponsorship of Earnhardt in JGR’s No. 18 Toyota Supra. His first Xfinity Series race will be the season-opener Feb. 16 at Daytona (Fla.) International Speedway. Earnhardt has made a total of 151 starts across the Monster Energy NASCAR Cup Series, Xfinity Series and Gander Outdoors Truck Series, but none have been with an organization with the depth and resources of JGR, the powerhouse NASCAR team with more than 150 Xfinity Series wins. Earnhardt is taking a path most recently traveled by Ryan Preece, a driver who joined JGR in 2017 and promptly won two Xfinity Series races after finally getting into equipment befitting his talent. Busch is one of the top drivers in all of NASCAR. The Las Vegas native has 194 career victories across the Monster Energy NASCAR Cup Series, Xfinity Series and Gander Outdoors Truck Series. He is the 2015 NASCAR Cup Series champion and the 2009 Xfinity Series champion. Jones is part of NASCAR’s youth movement. He will turn 22 on Feb. 18. 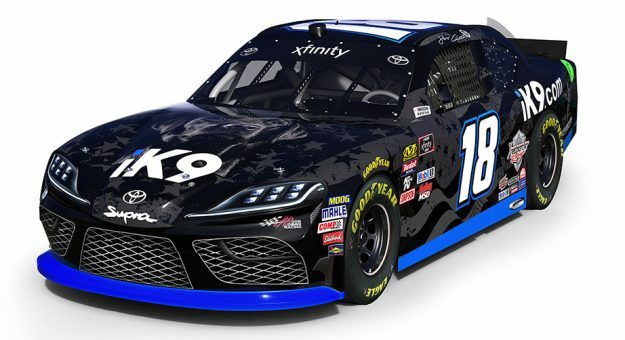 The 2019 season marks his 10th year of racing and his fourth in the Xfinity Series.